Why do our lips need special attention? Most areas of our skin are covered by a hydrolipidic film, a protective barrier which helps to maintain moisture and hydration. Our lips don’t have this kind of protection, leaving them much more vulnerable to dehydration and dryness. This is particularly problematic during the winter when the cold and harsh air further dries out the skin. What’s more, our lips are in constant daily use - whilst we eat, drink or even breathe which promotes further transepidermal water loss. Therefore, our lips require specific lip care, tailored to soothe and help repair their fragile skin. Although our Rêve de Miel® Lip Balm has always sourced the magical power of bees, the new formula contains another treasure of the hive, Propolis. Propolis is a rare and precious substance, sourced by bees from plant resins. It’s used by bees to construct, repair and protect the hive from external aggressors which is exactly why Nuxe decided to use it in order to help repair chapped lips. To maintain every powerful element of Propolis’ complex composition, we’ve chosen an innovative active from a sustainable extraction process. It means it preserves its bee-made goodness which all work together to nourish and help repair the lips. Shea Butter is the ultimate skin superfood, sourced from the seeds of the Shea tree. It is known to work wonders in moisturising and softening skin. It’s the ultimate lip moisturiser, which is why we’ve packed a 25%* higher concentration into our new formula. Just like our original formula, our new Rêve de Miel® Lip Balm uses two more delights from the hive to provide nourishment and protection. 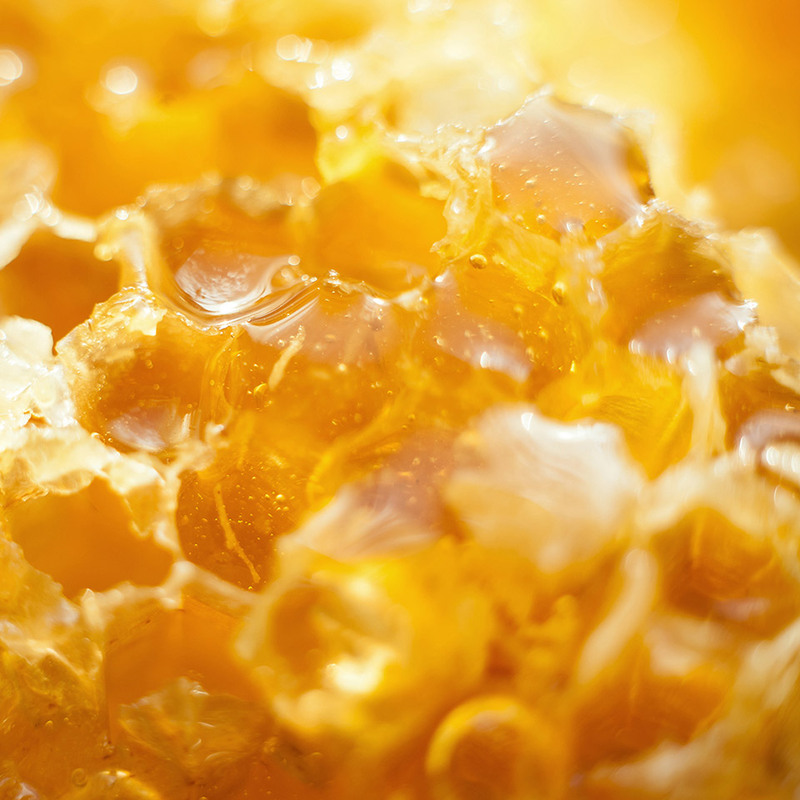 Honey has been used for thousands of years due to its well known repairing properties. It has a naturally diverse composition of amino acids, proteins, anti-oxidants, vitamins, enzymes and minerals which not only help repair and nourish but also regenerate chapped lips. Honey is one of nature’s true gifts. Another magical gift from the bees, beeswax is created by young bees and used to build their nests to store honey and pollen. Beeswax is known to have high film-creating potential, it can be used to help maintain the lips hydration. It forms an impermeable film which protects dry and chapped lips. Our gorgeous lip balm is still enriched with two sensational botanical oils, Musk Rose and Sweet Almond oil. These precious oils are known to be rich in fatty acids and to play an essential role in hydrating dry lips. They help to replenish lipids and further soften the skin. Our Rêve de Miel® Honey Lip Balm delivers good results even in extremely cold environments. In our study conducted in Canada, 95 %(1) of women found their lips to be instantly more soft, nourished, supple and moisturised. After 21 days, participants’ lips were relieved and soothed by up to 157 %(2). True nourishing efficacy. Try out the lusciously rich new lip care for yourself by shopping on the NUXE site. *In comparison to the previous formula. Effectiveness tested in Canada in conditions of extreme cold. (1) Use test - 20 volunteers. Satisfaction%. (2) Ust test – 20 volunteers. % improvement assessed by volunteers.